Edenred expects CSI to generate annual revenue growth of around 20% in the coming years. 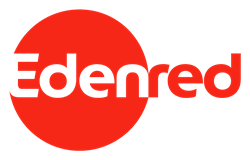 Edenred, the world leader in transactional solutions for companies, employees and merchants, has announced the completion of its acquisition of Corporate Spending Innovations (“CSI”), one of the leading providers of automated corporate payment software in North America. The Group has also finalized the acquisition of 80% of the share capital of The Right Fuelcard Company (“TRFC”) group, the number four fuel card program manager in the United Kingdom. Both transactions have been approved by the relevant competition authorities and completed in accordance with the agreements signed between the parties and announced on November 8 and November 27, 2018, respectively. The two companies will be fully consolidated in Edenred’s financial statements as from January 1, 2019. Acquiring CSI will enable Edenred to step up its development in the fast-growing corporate payment segment, enhance its digital payment technology platform and significantly increase its exposure to the North American market. Headquartered in Florida, CSI is one of the leading North American providers of corporate payment solutions, working with a portfolio of more than 800 corporate clients to facilitate payments to their 475,000 vendors. In 2018, the fintech processed around 900,000 transactions, for payment volumes of around $11 billion, and forecasts adjusted EBITDA of $26 million for the full year. Edenred expects CSI to generate annual revenue growth of around 20% in the coming years. CSI was acquired for around $600 million. The transaction will be accretive to Group EBIT from 2019 and to net profit, Group share from 2020. The acquisition of the TRFC group will enable Edenred to continue expanding in the field of fleet and mobility solutions by moving into the United Kingdom, one of Europe’s largest markets. Based in Leeds and Glasgow, the TRFC group helps 27,000 corporate clients optimize the management of their heavy and light vehicle fleets. Its 150,000 cardholders can fill up at 90% of UK service stations using monobrand or multibrand fuel cards. The TRFC group is estimated to have generated more than £11 million in EBITDA in 2018. The acquisition of 80% of the TRFC group’s share capital represented an outlay of around £95 million for Edenred and will be accretive to EBIT and net profit, Group share from 2019. The two companies will be fully consolidated in Edenred’s financial statements as from January 1, 2019. Complementary solutions, including corporate payments (Edenred Corporate Payment), incentives and rewards (Ticket Compliments, Ticket Kadéos) and public social programs. The Group brings together a unique network of 44 million employees, 770,000 companies and public institutions, and 1.5 million merchants. Listed on the Euronext Paris stock exchange and part of the CAC Next 20 index, Edenred operates in 45 countries, with close to 8,000 employees. The logos and other trademarks mentioned and featured in this press release are registered trademarks of Edenred S.A., its subsidiaries or third parties. They may not be used for commercial purposes without prior written consent from their owners.